Ostrich sticks are a top sports nutrition meat snack full of protein and taste. 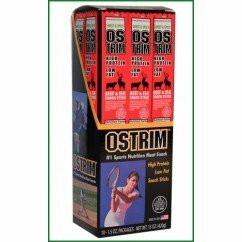 NATURE’S FOOD PROTEIN: If you’re looking for a great tasting, moist, real meat protein from nature, you’ve got to give OSTRIM a try because they are fabulous and healthy. Made from ostrich and beef, OSTRIM’s high-protein meat sticks are USDA inspected, guaranteeing you a true and correct nutritional profile of quality and wholesomeness. 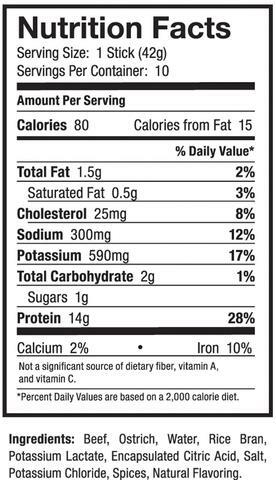 OSTRIM, nature’s food protein, surpasses the protein sources found in many sports nutrition products. Ostrich sticks are also a fantastic source of potassium and a good source of iron.